In GCSE Music you will be required to compose two pieces. To do this you will need suitable tools. You will also need to find a starting point for your music, and structure, review, evaluate and experiment with your compositions. When you are starting your compositions, you may already have a starting point given to you by the exam board, or you may be focussing on your instrument or have a free choice of composition subject. Getting started can be the most difficult part of the composition process. If you are stuck, consider note patterns, pictures, a sequence of actions or even a set of words to get you going. Being for the Benefit of Mr Kite derives almost all its lyrics from a fairground poster. The music background makes extensive use of fairground sounds. The words to Lucy in the Sky with Diamonds are inspired by a nursery school drawing, accompanied by suitably dreamlike music. Composer Errollyn Wallen used various compositional ideas for her piece Mondrian. She translated some of the moods and textures from a visual image to instruments to create the sound she was looking for. She also combined the traditional sounds of wind instruments with the more unusual timbre of string harmonics. Stories can help to provide structures for music and stimulate ideas for composition. 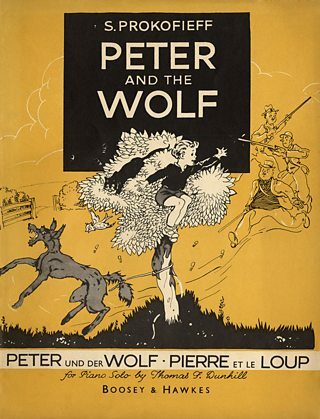 The story of Peter and the Wolf gave composer Sergei Prokofiev an overall structure for his piece. The story also helped him write musical motifs that describe the various characters in the story. Paul Leonard Morgan is a BAFTA winning composer who writes soundtracks for television and film. His experience of arranging music for pop and rock bands influences his scoring and shapes “his sound”. Steve Reich has played an important part in the development of minimalist music. This is a style that makes effective use of repeating patterns, melodic cells and gradually transforming ideas. He is a composer who has made extensive use of historical events, past and present in his work. Different Trains is a reflection on the Holocaust of World War II. His opera Three Tales includes references to the Hindenburg disaster and the testing of nuclear weapons on Bikini Atoll. One of the Beatles' most famous songs A Day in the Life was inspired by various newspaper articles in the 17 January 1967 edition of the Daily Mail newspaper. Find a copy of any current newspaper. Research the paper to identify interesting phrases. They don’t all have to be on the same theme. Try reciting the phrases to a steady pulse to get some rhythmic ideas. Perhaps chant to a drum pattern played using a keyboard preset. Look at ways of combining some of these phrases into verse-chorus forms. Vamp some chords on keyboard or guitar to the drum pattern to help generate melodic ideas.